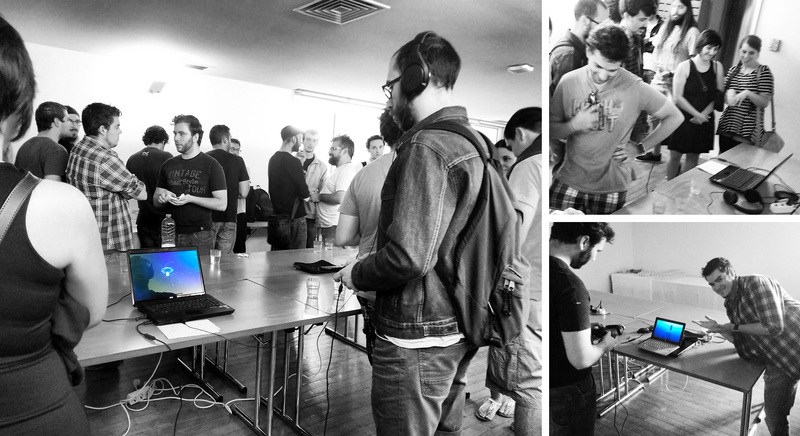 This was the week of Game Dev Meet Lisbon Live #3, a monthly meeting of people interested in game development and a great chance to showcase and playtest our games. 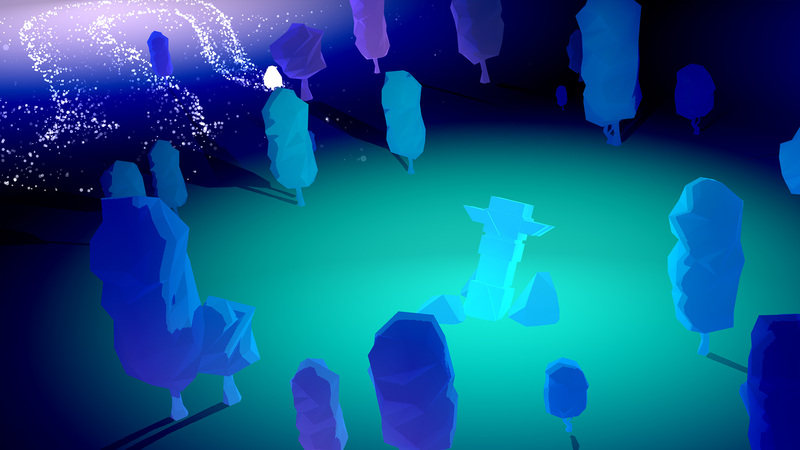 The first half of the week was spent implementing the idea I had for the event’s prototype – it was going to be something with no antagonists and a focus on the AI interactions. The problem was that I was afraid the flow of the experience was broken – there was barely any challenge and all you did was play with the AIs. It got boring fast, so I made it so AIs only played with you if you did certain things. It became a game about figuring out what to do and if you didn’t figure that out nothing would happen, which is pretty frustrating. I wanted the player to be challenged, but not to feel any anxiety playing the game, which made me increasingly anxious and frustrated that my solutions, although somewhat compelling (if you knew what to do), were completely missing that key mark. So Wednesday I took a step back and in so doing found this gem on a Games for Change interview with Jenova Chen. I think if you’re trying to do something new, you have to be very clear about the type of experience or emotion you wanna go [with]. Because if you just want to do something different – there are too many targets, you’re not gonna hit it… Trying to invent something is like sailing into uncharted water – if you don’t even know where your destination is you’re gonna sink. But if you know there’s a lighthouse somewhere, you can see it but in between there are a lot of reefs, you know how to avoid them. And it may take longer but eventually you’re gonna be there. I think it’s very clear when you start you have a clear goal in terms of feeling, but then the stories, the mechanics and all these things, they turn around – sometimes something will stop working and you have to do some other change, but you need to have that lighthouse. Talk about being reminded of the right thing at the right time! Being so focused on trying to make something that would work well in the event made me lose sight of my lighthouse. Trying to get a good game feel. Linking the game’s progression to the actions the player would want to do for their own sake. Leaving enough space for the players to interpret things for themselves. It’s barely a thing but it’s a much better thing than the more complex thing I was making, in terms of the thing I’m aiming for. At least this is a thing I think. I wanted to know if people found such a simple prototype engaging enough to play for more than a couple of minutes. As usual I gave no directions and mostly lurked next to the game, as if I had nothing to do with it. On the whole, people seem to like it. There was a tense moment as I watched the first player spend ages just activating the pilar and making trees grow like that. I’m pretty sure he would have just quit if he didn’t know I was there, but then he caught an orb and turned to me with a big smile. After that things went a lot smoother. Pretty much everyone did all that was possible to do in that build (which wasn’t much) and some claim to have loved it. My favorite part was watching these two girls slowly inching towards the game. They spent a lot of time just watching other people play it. Then, when the laptop was free, they moved right in front of it but just kept talking, until one of them gingerly got the controller and started playing. Watching them laugh and play the game made all the stresses and frustrations of making that prototype worth it! 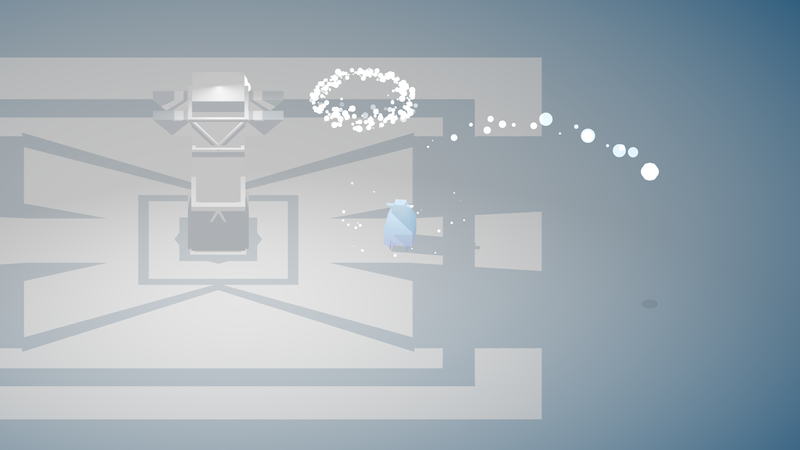 The biggest takeaway from this week is how there are two ways of going about making an experimental game – you can try something and build a prototype until it starts telling you the kind of game it wants to be, or you can have a clear experience or feeling you want to create and the mechanics come and go in an effort to realize that experience. There’s probably a middle ground there but I’d say this project definitely leans towards the second type of experimental game, so focusing on mechanics without the context of the larger experience is one of the biggest dangers in the project. I’ve also made a little test to see what it felt like to have the camera focus on the totem as it was activated. It’s currently broken (it’s not supposed to do a barrel roll…) but there’s definitely something about it. 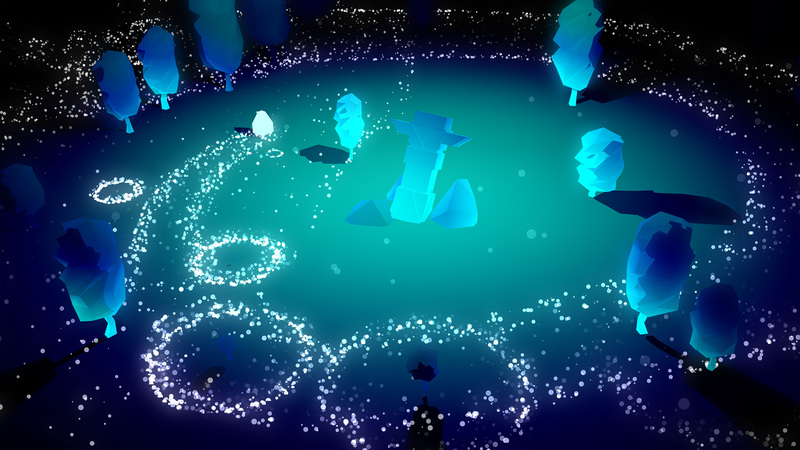 Not only does it direct the player’s attention, it also makes you feel more connected to the world. It becomes less of a game about a creature you control and more about your actions as directed by said creature. I’ll be looking into games like Journey and Shadow of the Colossus and movies like Children of Men for examples of purposeful camera direction and hopefully try to emulate some of that into Project BUDS. It’s probably going to be super simple but as long as it’s dynamic and smooth (no barrel rolls) it should be fine. Other than that, I’ll do some work on AI and continue what I’ve started last Wednesday. Follow me on twitter for more updates and shenanigans. 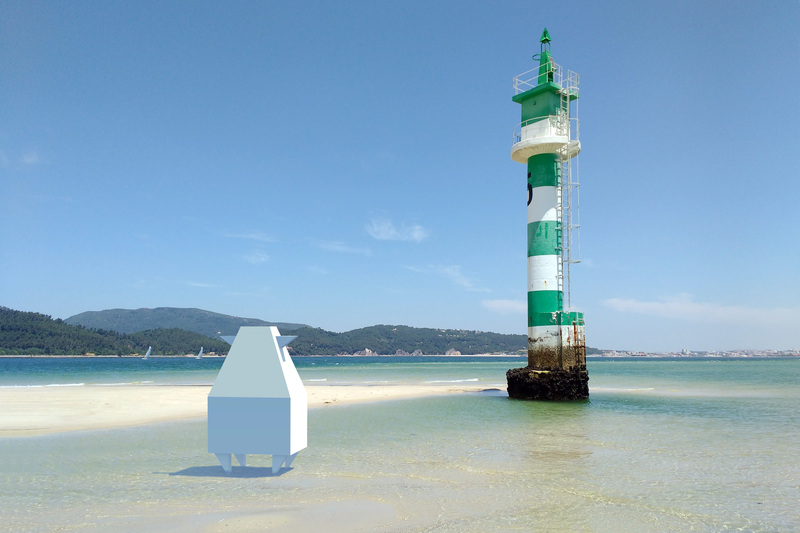 PS: From the moment I saw that Games for Change interview I knew the title for this DevLog, so when I went to the beach this Saturday (part of the reason the DevLog is late) and saw a lighthouse in the distance, of course I had to get to get there.